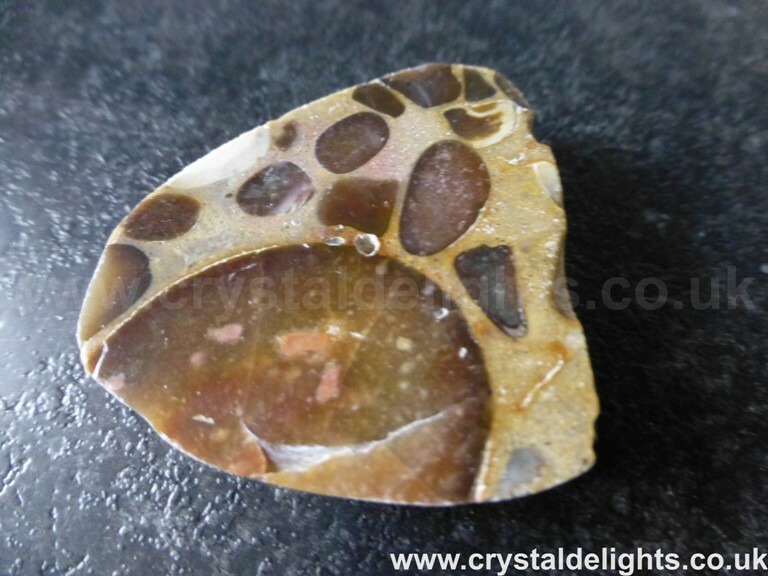 Categories: Judy's Jasper, Judy's Jasper, New Lines, Online Shop, Products, Specialist Crystals, Tumbled Crystals. 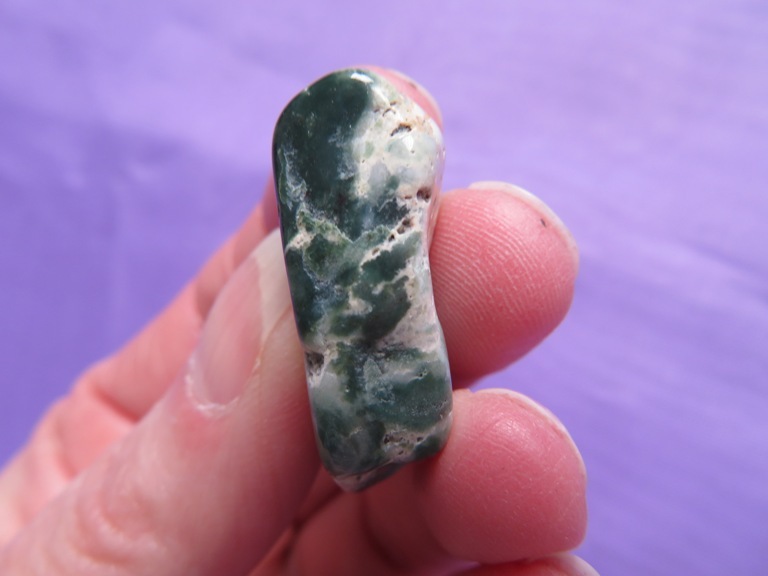 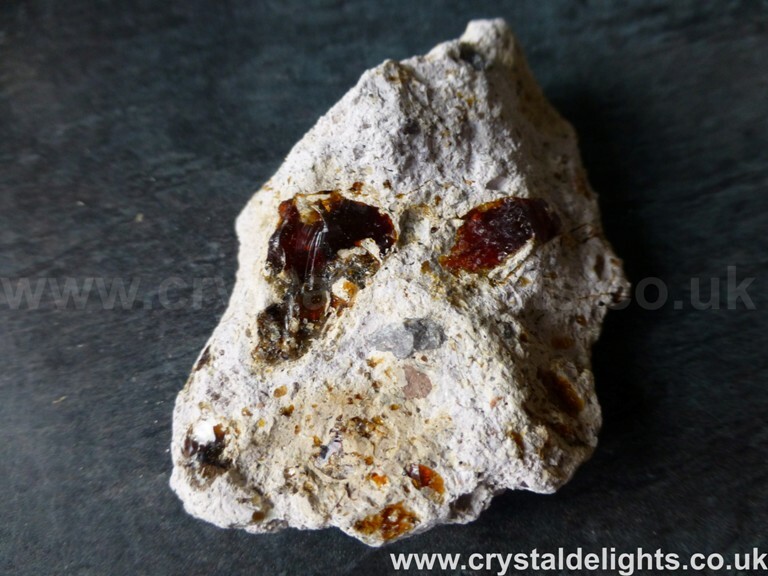 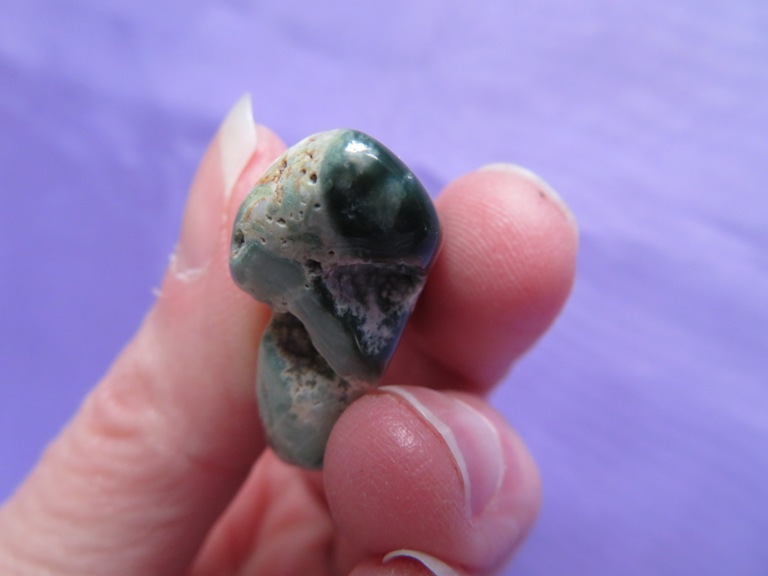 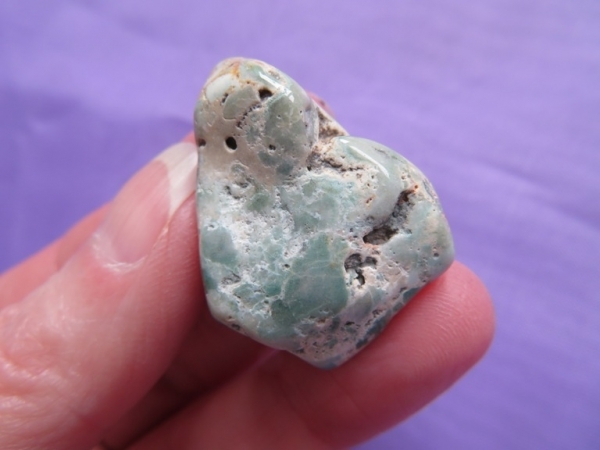 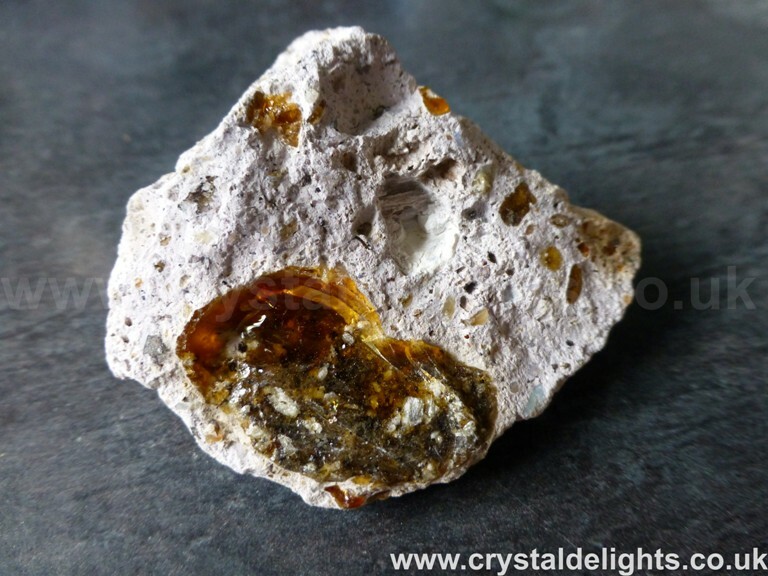 This listing is for a lovely new find called Judys Jasper (after the author Judy Hall, the Crystal Bibles) or Eye Of The Storm freeform natural tumbled stone, it weighs approximately 9.5 grams and measured at the widest points is approximately 30 mm x 23 mm x 9 mm and comes from Brazil. 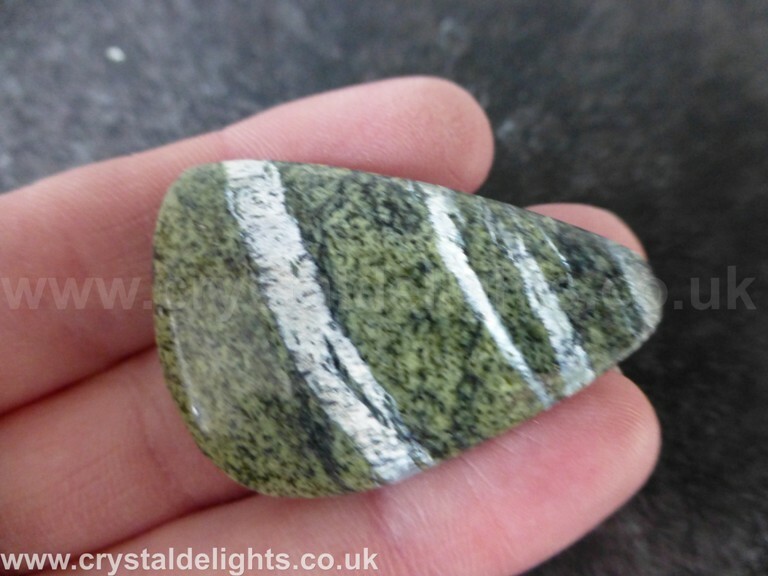 The listing shows different sides of the freeform natural tumbled stone (Please note the pictures are close ups and NOT the actual size)and there maybe natural matrix attached so please check pictures, weight and measurements carefully before purchasing. 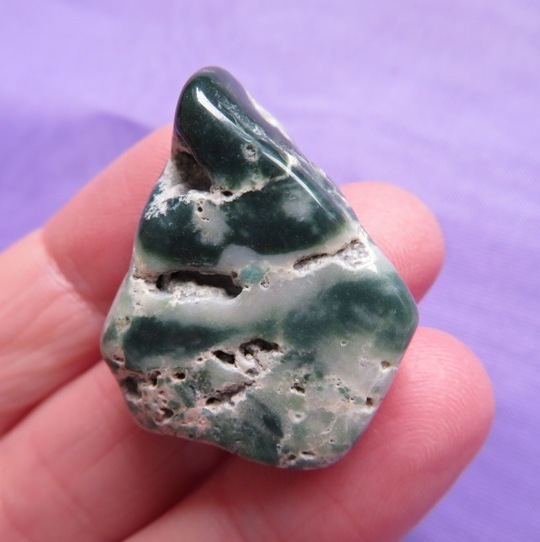 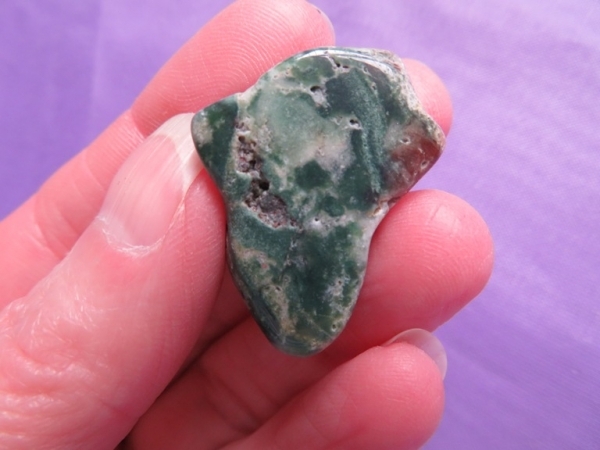 UK postage on this gorgeous and unusual tumblestone is postage FREE. 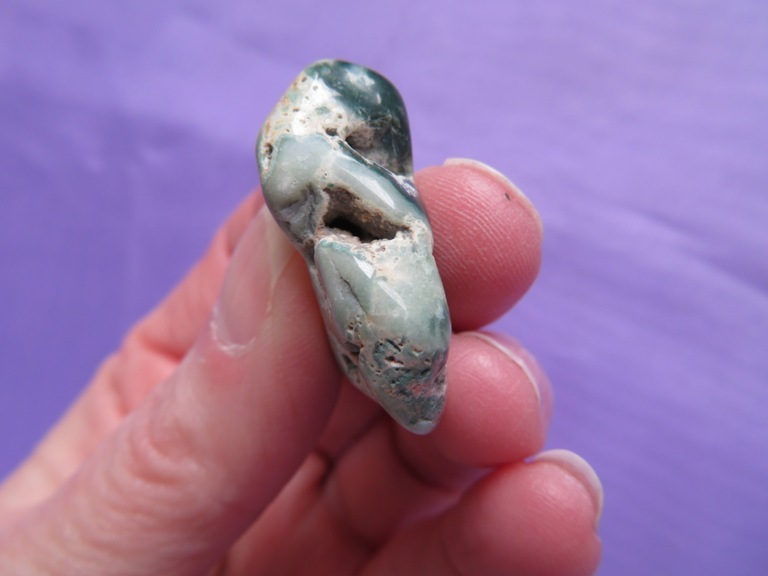 Judy Hall states Eye of the Storm acts quickly, bringing emotions to the surface. The name ‘Eye of the Storm’ was suggested because holding it is like being in the eye of a storm, everything is turbulent, swirling around you and yet you are in a calm, objective space beyond fear or panic. In this space solutions become apparent. 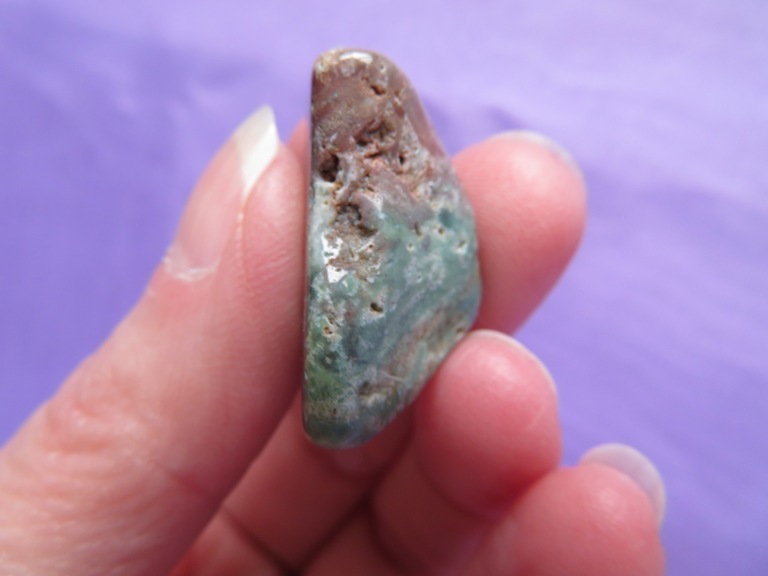 You can be drawn up the funnel of the eye to take a higher, overall perspective but do not lose your connection with earth. 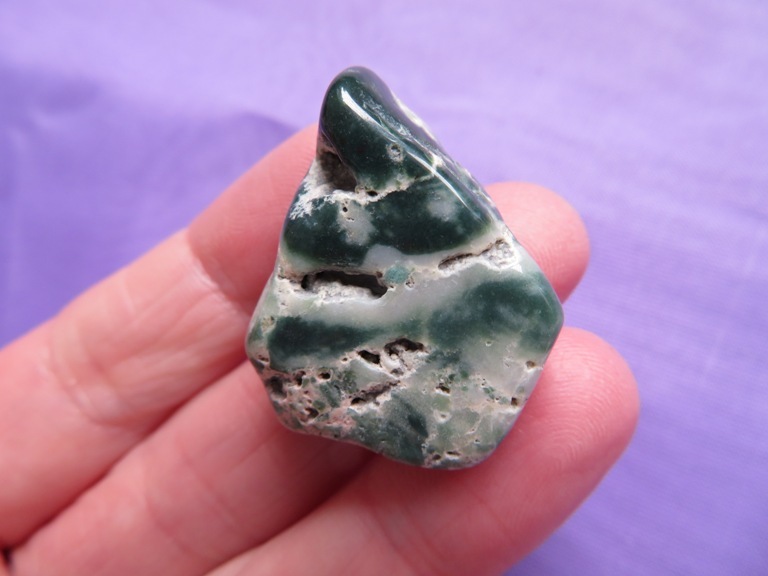 Here issues are brought up for contemplation and action, giving you all the information, you need to take a fully informed decision –both in the present moment and what will occur in the near future. It reminds you that the bigger picture is fluid and changing, depending on actions taken and decisions made. 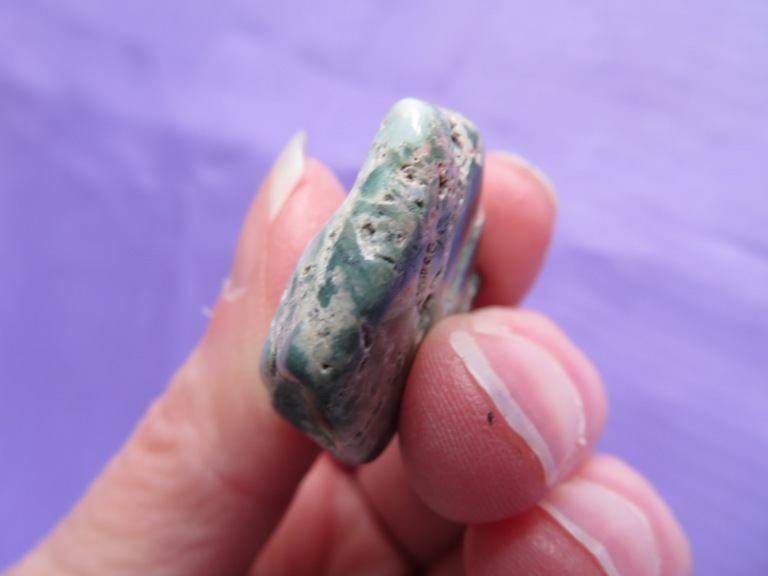 Its calming, grounding effect works well during upheavals as it relieves stress, switching off ingrained patterns and emotional responses such as fear, panic or the ‘fight or flight’ response, creating a calm, strong central core nothing can shake. 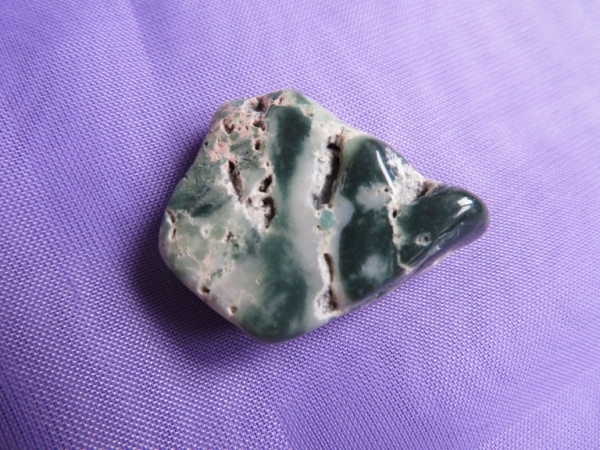 The tumblestone in the picture’s is the one you will receive.